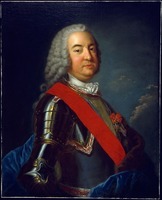 DUBREIL DE PONTBRIAND, HENRI-MARIE, sixth bishop of Quebec; b. in Vannes, France, probably in January 1708, son of Joseph-Yves Dubreil, Comte de Pontbriand, captain of coastguards in the bishopric of Saint-Malo, and Angélique-Sylvie Marot de La Garaye; d. 8 June 1760 in Montreal. 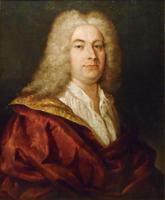 Henri-Marie Dubreil de Pontbriand spent his childhood at Pleurtuit (dept. of Ille-et-Vilaine), where the château of Pontbriand was located. He was the youngest of nine children. His three sisters became nuns in the convent of the Visitation in Rennes, and three of his brothers took up military careers, one of them being the Comte de Nevet, with whom the bishop of Quebec carried on a close correspondence. The other two brothers adopted the ecclesiastical state: one was a canon in Rennes, and the other lived in Paris, where he was occupied with charitable work on behalf of young Savoyards and took an interest in the bishop of Quebec’s dealings with the court. The latter brother sometimes clashed with Pierre de La Rue, Abbé de L’Isle-Dieu, who was specifically responsible for this liaison. The future bishop of Quebec did his classical studies with the Jesuits at the famous college in La Flèche. He then went to Paris, where he continued his philosophical and theological studies at the Sulpician seminary. He spent ten years in Paris, where he was ordained in 1731 and was given his doctor’s degree from the Sorbonne. Upon his return to Brittany, his native province, he put himself at the service of the bishop of Saint-Malo, who lost no time in making him his vicar general. He held this office in 1740, when at the suggestion of Jean Couturier, the superior general of Saint-Sulpice in Paris, and of the Comte de La Garaye, his maternal uncle, Cardinal Fleury had him named bishop of Quebec by Louis XV. He learned of his appointment officially through a letter from the president of the council of Marine dated 19 Dec. 1740. On 6 March 1741 Benedict XIV gave him his bulls; he was consecrated on 7 April and took the oath of loyalty to the king ten days later. Since he was unacquainted with the immense country over which his jurisdiction extended, Pontbriand went to live at the Sulpician seminary in Paris before sailing for Quebec and obtained information from Abbé de L’Isle-Dieu, who was probably the best-informed person about the various colonies which made up New France, especially those parts farthest from the see of Quebec, and from Pierre Hazeur* de L’Orme, who represented the interests of the chapter of Quebec in France. A few months later he sailed on the Rubis, with François-Elzéar Vallier, the superior of the seminary of Quebec, who had just spent two years in the mother country to recover his health. All these associations enabled the new bishop of Quebec to become acquainted with his diocese before reaching it. He landed at Quebec on 29 Aug. 1741 and took possession of his see the following day. At that time the diocese of Quebec had been in existence for more than 60 years. The first incumbent of the see, Bishop Laval*, had given the new-born church of Canada its main institutions. 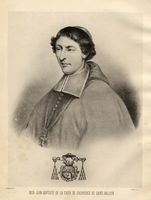 His successor, Bishop Saint-Vallier [La Croix*], had endowed it with an ecclesiastical discipline strongly marked by the spirit of reform of the Council of Trent. Between those two episcopates, which covered some 50 years, and Pontbriand’s, the office had been assumed successively by three bishops: Mornay, who never set foot in Canada, Dosquet*, who spent about two years here, and Lauberivière [Pourroy*], who died upon his arrival. Pontbriand showed himself determined to amend the institutions of the church of Canada as they had been set up by Laval because he was hampered by them, to end the abuses resulting from the absenteeism of his immediate predecessors, and to continue Saint-Vallier’s work of reform, although with more flexibility. “He appears to have much initiative,” wrote Hazeur de L’Orme quite rightly, “and to want to bring about a good number of reforms in Canada, to hold synods, and to organize assemblies of the parish priests.” But his episcopate was of necessity marked by the difficult conditions which prevailed in the various colonies under his jurisdiction. In addition to hard times resulting from the years of bad crops, the greater part of his episcopate was overshadowed by war and the abuses to which the people were subjected by Bigot*’s administration. Upon his arrival Pontbriand filled the vacancies in the chapter by naming to it Jean-Baptiste Gosselin and two Bretons who had arrived with him: René-Jean Allenou de Lavillangevin, the former parish priest of Plérin (dept. of Côtes-du-Nord), and the young priest Jean-Olivier Briand*. He made Allenou de Lavillangevin his vicar general for Quebec, and Louis Normant Du Faradon, from whom the chapter had previously taken away the title, for Montreal. He allowed Étienne Marchand* to retain the title for Montreal also, probably in order not to displease the chapter. Then, with the consent of the council of Marine, he required parish priests holding appointment for life, who had been named by the chapter while the office of bishop was vacant, to hand their titles over to him. Neither the parish priests concerned nor the chapter complained, although one canon pointed out in a letter to Hazeur de L’Orme: “He is determined to be master in his church.” Not until 1750 did his relations with the members of the chapter deteriorate, when the latter found out what their rights in temporal matters and over the ministry of the Quebec cathedral were and demanded that these rights be respected. On friendly terms with the “gentlemen of the chapter,” as he liked to call them, Pontbriand likewise maintained good relations with the Jesuits, in whose convent the bishop and the chapter went from time to time to say the office, on New Year’s Day or on the feast days of St Ignatius or St Francis Xavier. But the rapport between the bishop and the Jesuits also ended in 1750, when against the bishop’s wishes the Jesuits took into their house Allenou de Lavillangevin, who had been expelled by Pontbriand from the bishop’s palace, and threatened to write to Paris and Rome about the matter. But although he was an enterprising administrator, Pontbriand was first of all a pastor. So he lost no time in making his pastoral visit to the parishes and his canonical visit to the religious communities. On 9 Dec. 1741 he issued a pastoral letter announcing his visit to the parish of Quebec for the following 8 January. This letter was inspired by the decrees of the Council of Trent concerning a bishop’s visits to the parishes in his diocese. After this visit Pontbriand was on the whole satisfied, but he nonetheless made some remarks to the chapter on its relations with the parish council; he likewise drew attention to the fact that too many ne’er-do-wells were being sent to the colony and obtained the recall of two. He pointed out at the same time to the council of Marine that there should be no Protestants in the colony: “The spiritual welfare of my diocese,” he wrote, “requires that none should be accepted. . . . I even believe I can add that the good of the state is consistent with this view.” The bishop also made his canonical visit to the religious communities in the episcopal town: he met the Ursulines at the end of January 1742 and again at the end of December. Meanwhile he had visited the Nuns Hospitallers of the Hôtel-Dieu in the spring and those of the Hôpital Général in the autumn. According to the annals of these communities the prelate made an excellent impression everywhere. During the summer of 1742 Pontbriand continued his visit of his diocese, going to the parishes and missions between Quebec and Montreal. In a pastoral letter on 22 June 1742 he had given the clergy and faithful of those regions notice both of his visit and of the reasons for it. On 25 June he was in Montreal. 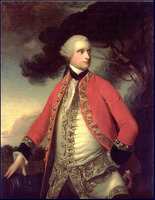 In 1743 he visited the Beaupré shore and the Île d’Orléans, and a little later that year he was at Bécancour. The south shore was visited in 1744. Thus ended Pontbriand’s first episcopal visit. The second one did not take place until 1749 and lasted several years. This time the bishop went as far as Fort de La Présentation (Ogdensburg, N.Y.) and Île Lamothe (Isle La Motte, Vt.). They were the only two posts outside Canada that Pontbriand visited. As for the other colonies under his jurisdiction, he had to be content with the information supplied by Abbé de L’Isle-Dieu. At the time of his arrival in Quebec Pontbriand went to live temporarily at the seminary, since the bishop’s palace, which had been built by Saint-Vallier, was in bad condition and it was not known exactly to whom it belonged. Before his departure for Quebec the court had promised Pontbriand to have “the bishop’s residence” repaired at its expense. The king confirmed this promise in three decrees, the last of them, dated 30 May 1742, donating the building, which had been repaired according to Gaspard-Joseph Chaussegros de Léry’s plans, to the bishop and his successors. But once the royal subsidies had been spent, there remained the chapel, the sacristy, the stables, and the rough-cast of part of the building which had not been touched. Intendant Hocquart* maintained that a room could be for a chapel, as had been done under Dosquet. However the bishop took possession of the building on 26 Oct. 1743, though without prejudice concerning what had not been repaired. The intendant offered to give the bishop 1,200 livres for what remained to be done. On 30 Oct. 1744 the bishop accepted, and the king ratified the arrangement on 26 April 1745. But the following autumn, in the presence of the notaries Claude Barolet and Christophe-Hilarion Du Laurent, the bishop handed back the sum that had been received and decided to let the chapel and sacristy fall into ruin. There remained the cathedral. At the time of his first visit the bishop had found it in bad condition. It had to be repaired and enlarged, since the population was growing. Pontbriand entrusted this task to Chaussegros de Léry, and the work, begun in 1745, was completed in 1748; during that time the Recollets had put their church at the disposal of the bishop, the chapter, and the parish. Through Abbé de L’Isle-Dieu, Pontbriand sought the aid of the court, which refused it to him, and he had to turn to his faithful, to whom he sent a pastoral letter to this end on 22 Jan. 1748. The collection brought in 10,000 livres, and as the sum was insufficient – the expenses had amounted to 80,000 livres – the bishop asked his congregation in a pastoral letter dated 16 July 1748 to endow masses. From the very beginning the chapter had offered 200 livres, and now it added 672 livres. In a letter to the president of the council of Marine on 9 Oct. 1748 Pontbriand wrote: “I have gone considerably into debt to finish the cathedral and parish church of Quebec.” And he was right. But the council of Marine was not wrong in blaming him for an undertaking of this sort at such a time. Yet, despite the hard times, Pontbriand had been successful, with or without the king’s aid, in restoring the bishop’s palace and enlarging the cathedral. Because of its dependence upon the Missions Étrangères in Paris, the seminary of Quebec had always tended to consider itself independent of the bishop of Quebec. Until 1747 this situation did not create any problems in the colony. But upon the death of Vallier, the superior of the seminary and a friend of Pontbriand, Joseph-André-Mathurin Jacrau*, who was old and tactless, succeeded to the office and would not hear of an episcopal or diocesan seminary. For him the seminary in Paris was master of the one in Quebec, which had not been established as an episcopal seminary. Pontbriand, who held a contrary view, took over the running of the seminary personally. To redress the situation the seminary in Paris sent a conciliator, Christophe de Lalane, who arrived in Quebec in the summer of 1748. The bishop gave him the title of superior of the seminary and was so well satisfied with his services that he made him his vicar general. M. de Lalane was also able to please his fellow religious by rebuilding the outer chapel of the seminary, which had burned down in 1701. The good relations between the bishop and the seminary were not to last long. 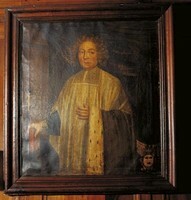 The parish of Quebec had not had a titular priest since Charles Plante’s death in the spring of 1744. The ministry was maintained by priests from the seminary until 1749, at which time the seminary decided to name Jean-Félix Récher titular parish priest. The deed of appointment and presentation, drawn up before notaries and bearing the date 1 Oct. 1749, stated categorically that this presentation and appointment rested with the seminary of Quebec. On 3 November Pontbriand appointed Récher parish priest of Quebec, without, however, taking into account the presentation and appointment of the seminary, for according to him the seminary had overstepped its rights. This was the beginning of a new dispute [see Récher; Allenou de Lavillangevin] arking the end of the era of peace which had characterized the beginning of Pontbriand’s episcopate. In the meantime the bishop continued to look after his diocese. The burning of the Ursuline convent at Trois-Rivières in 1752 was one of the incidents which delayed his second episcopal visit, begun in 1749. The bishop had intended to preach a mission at Trois-Rivières, but he had to take in hand the rebuilding of the Ursuline house. He spent several months at Trois-Rivières, and succeeded in finding the necessary money by having “the nuns borrow.” On 7 June 1755, when the bishop was on a visit to Montreal, the Hôtel-Dieu was a prey of flames [see Marie-Catherine Tibierge, dite de Saint-Joachim]. Pontbriand then organized a collection in Montreal, in Quebec, and in the rural regions “for this good work.” The community was nevertheless forced to go into debt. Two years later the bishop blessed the new hospital. Pontbriand was not, however, equally solicitous towards all the communities. Knowing that the court did not want to see communities multiply in Canada, he accepted the idea of uniting the Hôpital Général of Montreal, which was run by the Brothers Hospitallers of the Cross and of St Joseph, with the sisters of the Congregation of Notre-Dame or the Nuns Hospitallers of St Joseph; he was suspicious of Mme d’Youville [Dufrost*] and her companions, to whom certain people were thinking of entrusting the hospital, which was on the brink of ruin [see Jean Jeantot]. On 27 Aug. 1747 the bishop consented, not without some reluctance, to entrust the institution “temporarily” to Mme d’Youville and her companions. With the money they received from various individuals the latter undertook to pay off the hospital’s debts and to take in as many destitute persons as possible. On 15 Oct. 1750, however, Bigot issued an ordinance joining the Hôpital Général of Montreal with that of Quebec, and Pontbriand was one of the signatories to this ordinance. It provoked dissatisfaction in Montreal, and Normant Du Faradon, along with some Montreal citizens, sent a petition to the court, which gave them a favourable reply, reversing the ordinance of October 1750. On 14 Dec. 1751 a new ordinance handed the Hôpital Général over to Mme d’Youville, and the matter was settled for good on 3 June 1753. Pontbriand recognized that he had committed a serious error and endeavoured to make amends for it, writing to Mme d’Youville: “You are too fair to doubt the feelings of affection and respect which I pride myself in having for you.” In 1755 he visited the Hôpital Général of Montreal in person, approved the rules which Normant Du Faradon had given Madame d’Youville and the habit of her pious women. While lavishing his attention upon the religious communities, in the course of his pastoral visits the bishop also concerned himself with the service offered the faithful. He established, in fact, a score of parishes, not to mention missions. During his episcopate he always refused to institute permanent parish charges, which the court was constantly demanding. He did not acknowledge the king’s right to set up parishes and respectfully submitted: “It appears that it is the bishop’s responsibility to set up parishes, and to expand or restrict them according to the need, which changes with an increase or decrease in the numbers of the settlers.” This precise statement turned out to be necessary, for the court was apparently entertaining claims in this area. The sixth bishop of Quebec has been blamed wrongly for not having worked enough at formulating a system of ecclesiastical discipline in his church. Here he simply followed Saint-Vallier who during the 40 odd years of his episcopate had endowed his diocese with a reasonable system of ecclesiastical discipline. In his initial pastoral letter Pontbriand approved and continued this discipline. He had only to complete it, and on many occasions to adapt it to the difficult circumstances the colony was experiencing. He did indeed complete it by instituting retreats for priests and ecclesiastical conferences. On 1 May 1753 he urged his priests to make a retreat every two years at the seminary, taking upon himself to pay their board or to have it paid for. As for ecclesiastical conferences, it was out of the question to bring his priests together often. He decided to send out to his priests subjects for study and their further development every six months. They were to send their work back to the bishop who, after examining it, would make a synthesis of it, adding his own reflections, which he would transmit on the occasion of the ecclesiastical retreat. The privilege of the retreat was even extended to the people in certain places, for instance in the parish of Notre-Dame de Québec during Lent in 1746. Like his predecessors Pontbriand followed up his pastoral visits with instructions and pastoral letters aimed at correcting the deplorable situations which he had observed or to which his attention had been drawn [see Normant Du Faradon]. Again, faced with the difficult situation in the colony, the bishop adapted the ecclesiastical discipline which Saint-Vallier had worked out for better times, drawing his inspiration from the practice followed in the dioceses of the mother country, but without taking account sufficiently of the particular conditions in the various colonies that made up New France. For example, although all the credit does not go to him, after his first pastoral visit Pontbriand reduced by 19 the number of public holidays, an action which dissatisfied part of the population for some years. During the most difficult years of the war he appreciably relaxed the laws concerning fasting and abstinence. These relaxations did not, however, prevent him from insisting upon the importance of prayer and returning often to the subject of the spirit of sacrifice and the necessity of doing penance. 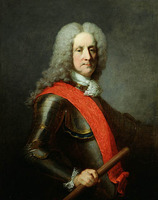 Like his predecessors and the bishops of France, Pontbriand, who had been appointed by the king, had taken an oath of loyalty to the sovereign which made him in reality a royal official. As long as possible he was a good and loyal servant of the king. He tried to get along well with the succession of governors and intendants during his episcopate. With the exception of Bigot he was successful with the intendants, even if he did not always share their opinions. At the beginning of his episcopate he was well thought of by the court and the council of Marine. In addition to the 9,000 livres he received as bishop of Quebec, Cardinal Fleury had another allowance made to him of 3,000 livres out of funds at the king’s disposal from vacant benefices. But he was soon considered a poor bishop, because of the needs of the colony and his great generosity. The correspondence file between Bishop Pontbriand and the president of the council of Marine proves the subordination of the church of Canada to royal authority. There was scarcely a year in which the bishop did not have recourse two or three times to the council, either directly or through the Abbé de L’Isle-Dieu. Generally the president of the council replied to the bishop once a year in a letter in which he announced the king’s decisions to him. What he expressed as desires constituted in effect orders for the bishop. Often he went through his ordinary agents, the governor and the intendant, to address himself to Pontbriand. Through this correspondence the church shows up as highly dependent upon royal authority throughout Pontbriand’s episcopate. The poverty of the colonies and of the church that assured their spiritual government only increased the power of the state. Pontbriand did not have jurisdiction over Canada only. The immense expanse of his diocese, within which communications were difficult, forced him from the beginning of his episcopate to govern different parts of his diocese, like his predecessors, through vicars general. Moreover, the distance from the mother country, where all important decisions were made, forced the new bishop of Quebec to imitate Dosquet in naming Abbé de L’Isle-Dieu vicar general of New France in Paris. The latter played a considerable role in the administration of the immense diocese of Quebec under Pontbriand’s episcopate. Indeed, in addition to representing the bishop of Quebec with the council of Marine and watching over the interests of the church of Quebec in France, he had to act as intermediary between the vicars general of various colonies and the bishop of Quebec, since communications, though always slow and relatively difficult, were in fact easier between those colonies and the mother country. Abbé de L’Isle-Dieu was thus much better acquainted with the affairs of the diocese, Canada excepted, than the bishop himself. And this situation was inevitable. As his voluminous correspondence reveals, this vicar general nevertheless did not misuse his powers, nor did he take advantage of the favourable conditions in which he found himself with the bishop of Quebec. It is nonetheless true that Pontbriand’s jurisdiction over the immense diocese of Quebec was exercised directly only within the narrow limits of Canada, and that the rest of the diocese was administered by the vicars general. In the immense region of Louisiana the Jesuits were in charge of all the Indian missions except that to the Tamaroas, who were the responsibility of the Missions Étrangères; the Capuchins ministered to all the French posts on the lower Mississippi. While in France Pontbriand had issued letters of appointment as vicar general for the Jesuit superior and for the superior of the Capuchins, both of whom had their residence in New Orleans, and for the superior of the Missions Étrangères. But a little later he wrote to Abbé de L’Isle-Dieu, telling him to give the letters only to the superior of the Jesuits, because he proposed placing both the upper and the lower regions of Louisiana under his jurisdiction. For the sake of order the bishop wanted a single vicar general [see Michel Baudouin]. He had nothing but acts of insubordination to attribute to the Capuchins, who for their part considered themselves exempt from his authority. The Tamaroa mission, under the authority of the Missions Étrangères, was in a difficult situation, and disappeared with the conquest [see Jacques-François Forget Duverger; Jean-Paul Mercier]. To the north of Louisiana, the Indian missions around Lake Michigan and the French posts in the pays d’en haut were entrusted to the superior of the Jesuits at Michilimackinac, who was Pontbriand’s vicar general and in the bishop’s name sent missionaries where they were needed [see Jean-Baptiste Chardon]. Closer to Canada was the Saguenay mission, of which Father Claude-Godefroy Coquart was the missionary during nearly all of Pontbriand’s episcopate. As the military situation became more and more favourable to England, it appeared evident that an English victory was inevitable. Pontbriand, who in keeping with his oath of office had always been a faithful servant of French interests, was no longer concerned with anything but the preservation of his church. His last pastoral letters, his circulars, as well as the correspondence he exchanged with his vicar general Briand and with General Murray*, must be interpreted in this light. In his actions Pontbriand was not repudiating anything of his past, any more than he was being disloyal to his most solemn promises; he was conforming to a situation that he would have wished different but which he accepted as God’s will. In October 1758, when he was already ill, Pontbriand wrote to his sisters in the convent of the Visitation about his intention to leave the colony, but he added immediately: “I should not leave until peace had returned.” He already believed that the colony was lost but was not in the least thinking of leaving his church without a bishop. Already in 1758 considering the eventuality of an English victory, he wrote: “If these gentlemen [the English] are willing to leave me amidst my flock, I shall remain; if they force me to leave, I shall have to yield to force.” The same worry tormented him in 1759: “This year must inevitably decide our fate.” By “our fate” the bishop meant of course the fate of the colony and also, probably, of the church he was governing. But the two seemed to him to be necessarily linked. As long as the French ruled the colony, the church would be assured of survival. If the situation were to change and England were to become master of the country, the church would be endangered and no one could foresee what would be its fate. On Bishop Pontbriand’s part only one attitude was possible: conciliation and submission; under compulsion he adopted it. At the beginning of June 1759 Pontbriand thought it advisable to issue a circular letter to all the priests of the parishes into which the enemy might penetrate and gain control. Some of the terms in these instructions demonstrate the conciliatory and submissive attitude the bishop had decided to adopt. The priest, of course, “will not be armed, any more than military chaplains are.” If the enemy were to take possession of a parish, “the parish priest will greet him as courteously as possible and will ask him to spare human lives and the churches.” If the enemy demanded it, the parish priest could even take an oath of loyalty and promise to do nothing “directly or indirectly against the conqueror,” with the proviso, however, that these engagements were valid only for the time during which the enemy was in control. Should the occasion arise, the enemy could hold his religious services in the parish and have first choice of a suitable time. The Catholic service would take place afterwards. And the bishop added: “In sermons and even in conversation everything that might irritate the new government will be avoided.” These instructions were only the beginning of Bishop Pontbriand’s conciliatory attitude towards the enemy. When English arms had overcome Quebec, he was to maintain it. In December 1759 Pontbriand wrote to Briand, his vicar general in Quebec and his friend of many years’ standing: “You must avoid falling out with the governor [Murray], to avoid greater troubles.” He enjoined him to advise the parish priests “to act with all possible prudence,” and in February 1760 confirmed: “Only spiritual matters must concern us.” Governor Murray had insisted to the bishop that religion not be spoken of to English who were sick. The bishop therefore ordered his vicar general in Quebec to be “careful that neither priests nor nuns speak of religion to English who are ill.” In his anxiety he added: “They might take it badly.” Writing another time to Briand, in November 1759, Pontbriand had said: “I am writing to the governor of Quebec and I am recommending you to him. I am convinced that you will conduct yourself in such a way that you will not deserve any censure from him.” He went on: “As the king of England is now through right of conquest sovereign of Quebec, we owe him all the sentiments of which the apostle Paul speaks.” And the bishop was ready to submit to English authority himself. 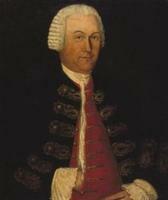 He had written to Murray on 13 Nov. 1759: “If my health allowed me to do so, I should have the honour of going to assure you of my very humble respects.” Of the religious communities in Quebec he said: “I hope that they will conduct themselves in such a way that they will not merit any blame. I am recommending that to them explicitly, as well as to all the clergy.” In the same letter to Murray Pontbriand left no doubt about his own attitude: “For my part, I shall always act according to the principles of the Christian religion and as do all bishops who have diocesans who are subject to two sovereigns.” He also declared that he was ready to deal severely with any priests who departed from these principles. He especially recommended his vicar general to the governor, assuring him that his views would coincide with his own. According to the diary of the parish priest, Récher, Pontbriand had retired on 1 July, during the siege of Quebec, to Charlesbourg, not far from his episcopal town. After the signing of the capitulation of Quebec on 17 Sept. 1759, the bishop, in order to remain on French territory, withdrew to Montreal, where he enjoyed the hospitality of the Sulpician seminary until his death. We do not know the exact date of his departure for Montreal. Nor do we know whether he visited Quebec before leaving. It is true that some precise details on the condition of the town after the capitulation given in his “Description imparfaite de la misère au Canada” would lead us to believe that he had. But the bishop may have received these details from other witnesses. In any event, from the end of October 1759 on – a pastoral letter is dated 28 October – Pontbriand issued his last pastoral letters and other items of official correspondence from the Sulpician seminary in Montreal. It was from there that he corresponded with the court, his vicars general, and the English governor in Quebec. It was there that he voiced his last wishes, which are included in his testament, and gave his final instructions to his canons concerning the administration of the diocese after his death. In the first pastoral letter he issued from Montreal, on 28 Oct. 1759, Pontbriand spoke of “the sad situation of this colony”: “Blessed are those who, without attributing it wrongly and rashly to secondary causes, recognize in it the avenging arm of the Lord and submit to it.” Indeed, for this bishop the misfortunes of the colony were simply the consequence of sin, as he had already insisted in a previous letter. Thus he regretted that “disorders and injustices have not ceased” and that “the ignominious passion of drunkenness, even when the enemy was within sight and was threatening on all sides, has caused great ravages.” The bishop mentioned also the “insulting talk,” the “continual grumbling,” the “little fidelity in the observance of feast-days and the Sabbath.” From the bishop’s point of view this pastoral letter was not unjustified. One has only to think of Bigot and his friends. Moreover drunkenness was a plague in the colony affecting not only the lower classes. The conduct of “the better people” was such as to fuel the habitants’ grumbling and excuse them for not obeying orders. 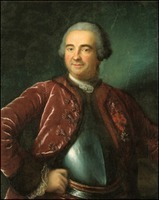 Pontbriand had tried to denounce the abuses of the régime through Abbé de L’Isle-Dieu. The latter’s correspondence bears this attempt out. But these abuses were already well known in France. After some discreet allusions to them in this pastoral letter of 28 Oct. 1759, the bishop ordered public prayers for the late General Montcalm, the officers, soldiers, and militiamen, and for the return of peace. The litany of the Blessed Virgin was to be recited at the end of all low masses, and the psalm Miserere at all benedictions of the Blessed Sacrament. In a letter to the council of Marine on 9 Nov. 1759 Pontbriand made a point of defending the reputation of Governor Vaudreuil [Rigaud*], and in his famous “Description imparfaite de la misère du Canada,” dated 5 November of the same year, he described the habitants’ distress. Of Vaudreuil Pontbriand wrote: “There is much argument here about the events which have taken place; blame is easily distributed. I have followed them closely. . . . I cannot refrain from saying that it is utterly wrong to attribute all our misfortunes to him.” He added that “simple truth” led him to furnish this testimony. It said enough for the authorities in the mother country to be able to understand what he meant. 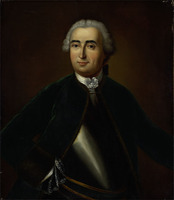 On 19 May 1760, a little less than a month before his death, Pontbriand addressed to the canons, who had been “scattered with his permission and through circumstances,” his final recommendations with a view to assuring the good administration of his diocese after his death. According to his own words he addressed himself to his chapter as bishop, father, and friend. He said that he was stricken with a fatal illness. He recognized that, “in accordance with the privileges granted by the pope,” he had given his vicars general powers they could exercise even after his death. He recommended, however, that they meet as soon as his death was known, to “fill the vacancy in the see by appointing vicars general.” “For the well-being of this poor diocese” – he was aware of the precarious state of his church, as were the canons – Pontbriand recommended strongly that they “maintain his vicars general in office” because of their knowledge of the situation. He also asked them not to multiply the offices in the chapter. In short, he wanted to see his church fall into expert hands and in that way to assure its survival beyond his episcopate. Pontbriand died on 8 June 1760, after asking for and receiving the last rites from the Sulpician superior, his friend Étienne Montgolfier*, as the latter certified. His funeral had to be held quickly, since the scarcity of spices did not permit the embalming of his body. A more formal funeral service was held on 25 June in the church of Notre-Dame de Montréal, and on that occasion his funeral oration was delivered by Louis Jollivet, a Sulpician priest. Father Récher’s diary informs us that another service was held on 15 July at the Hôtel-Dieu of Quebec. In the autumn, by a letter dated 13 Sept. 1760, Montgolfier made known to the Comte de Nevet the death of his “illustrious brother” and at the same time the victory of the English in Canada, which had been confirmed by the signing of the act of surrender of Montreal a few days earlier. Although he spent 19 years in Canada without interruption, Pontbriand’s episcopate did not have the significance of Laval’s and Saint-Vallier’s. Nevertheless it was third in importance under the French régime and also one of the most delicate, difficult, and painful in this period of Canadian history. The almost permanent absence of a bishop from Quebec from 1727 to 1741 resulted in many problems remaining unsolved, while difficulties multiplied. Over the years the state had strengthened its authority over the church of Quebec, thus making local administration more difficult and complex; yet the weakness of the authorities in the mother country also made for an unsettled atmosphere because of the almost general dissatisfaction it engendered. Finally the Seven Years’ War came along to increase hardships and multiply administrative difficulties. The surrender of Quebec, and before that the conquest of Acadia, placed Pontbriand between two countries: France, which he had to keep on satisfying, and England, which he had to avoid displeasing. In the face of the colony’s troubles, whether those of the religious communities, of the clergy, or of his diocesans in general, his behaviour sprang entirely from the generosity of a warm heart and an eager soul. His actions demonstrate these motives beyond any doubt. After exhausting his own resources, he multiplied his requests to the council of Marine, which replied usually with promises and repeated affirmation of its good intentions, though sometimes with concrete acts. But if the problems of the Canadian church were the object of the constant preoccupation of the sixth bishop of Canada, he did not always show the determination that was necessary. Pontbriand had the defect of not wanting to displease anyone, especially where his superiors were concerned. Problems dragged on because the bishop refused to intervene directly. The quarrel between the chapter and the seminary illustrates well this characteristic of Pontbriand. When confronted with the abuses of the régime under Bigot, he intervened only through Abbé de L’Isle-Dieu. It must be admitted that in his dealings with the authorities in Canada and the mother country Pontbriand never displayed the determination Laval and Saint-Vallier had shown. In his correspondence with the council he did not denounce Bigot. At the height of the crisis his pastoral letters made only timid allusions to the abuses of the régime. Tolerant, perhaps too much so, Pontbriand was in no way an accomplice of the régime, but through his attitude he probably harmed the interests of the colony and the church at a time when France was perhaps still capable of doing something for Canada. After the capture of Quebec, however, Pontbriand’s conciliatory attitude towards Governor Murray, an attitude he imposed upon his clergy, unquestionably served the interests of the church in Canada and perhaps the material interests of the population at the same time. Always well informed, certain of an English victory, a bishop before being a French subject, he had to think first of the survival of the church, and this objective inspired all his important acts until his death. His directives to his vicar general Briand guided his successor’s entire activity as bishop. His influence would thus survive him, a fact which his humility had probably prevented him from foreseeing. AAQ, 20 A, Lettres manuscrites, I; 22 A, Copies de lettres, II; 10 B, Registre des délibérations; CD, Diocèse de Québec, II, VI; 1 W, Église du Canada, I. AN, Col., B, 70–112; C11A, 74–112 (PAC transcripts). “Lettres et mémoires de l’abbé de L’Isle-Dieu,” APQ Rapport, 1935–36; 1936–37. Mandements des évêques de Québec (Têtu et Gagnon), II, 5–184. 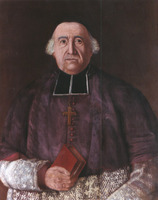 Paul-Marie Du Breil de Pontbriand, Le dernier évêque du Canada français, Monseigneur de Pontbriand, 1740–1760 (Paris, 1910). Gosselin, L’Église du Canada jusqu’à la conquête, III. Claudette Lacelle, “Monseigneur Henry-Marie Dubreuil de Pontbriand: ses mandements et circulaires” (unpublished ma thesis, University of Ottawa, 1971). Henri Têtu, Notices biographiques: les évêques de Québec (Québec, 1889), 219–57. Jean-Guy Lavallée, “DUBREIL DE PONTBRIAND, HENRI-MARIE,” in Dictionary of Canadian Biography, vol. 3, University of Toronto/Université Laval, 2003–, accessed April 24, 2019, http://www.biographi.ca/en/bio/dubreil_de_pontbriand_henri_marie_3E.html.